Many creations that involve design can benefit from the protection offered by design patents as well as trademarks. However, how should practitioners – particularly those outside the United States – decide which types of protection to apply for, and when? The Governmental Advisory Committee (GAC) has filed 242 early warnings to generic toplevel domain (gTLD) applicants. Early warning notices are not formal objections: they are issued where a gTLD application is considered to be potentially controversial or sensitive by one or more governments. M&S v Interflora: the end of witness gathering surveys? In Marks and Spencer Plc v Interflora Inc ( EWCA Civ 1501), the Court of Appeal of England and Wales has considered the practice of adducing favourable evidence of confusion from members of the public in trademark actions where such witnesses were selected from a wider group of survey respondents – or ‘witness gathering exercises’. Advocate General Mengozzi has given his opinion in Fédération Cynologique Internationale v Federación Canina Internacional de Perros de Pura Raza (Case C-561/11), a reference for a preliminary ruling concerning the interpretation of Article 9(1) of the EU Community Trademark Regulation (207/2009). 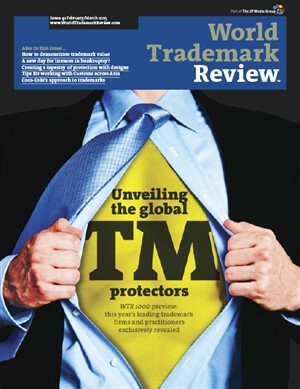 The Court of Justice of the European Union (ECJ) has confirmed that use of a trademark in a form that is different from the mark as registered is sufficient to prove genuine use if the differing elements do not alter the distinctive character of the mark, even if that mark itself is registered. The International Corporation of Assigned Names and Numbers (ICANN) board’s New Generic Top-Level Domain (gTLD) Programme Committee has approved two resolutions aimed at providing interim domain name protections to certain non-governmental and intergovernmental organisations. In Ryohin Keikaku Co Ltd v TRAB, China’s Supreme People’s Court has held that evidence of use of a trademark in original equipment manufacturer (OEM) manufacturing activities solely for export was insufficient to show that the mark had been “used and achieved a certain amount of influence in China” under Article 31 of the Trademark Law. The time is NOW for special grounds?